Eureeka! 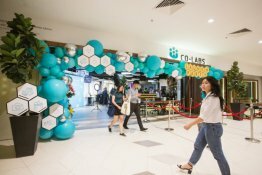 It’s official, we have officially launched our Co-labs Coworking flag ship space at The Starling Mall, in the bustling Damansara Uptown vicinity. 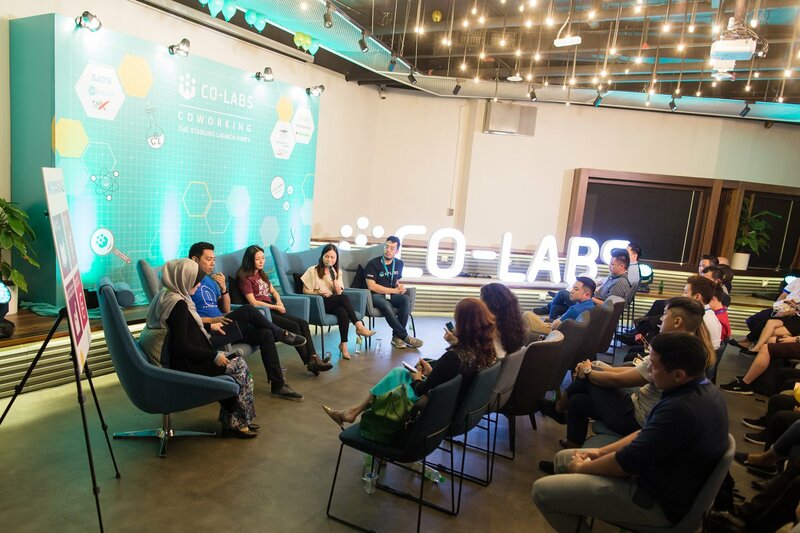 This coworking space marks Co-labs foray into setting up a flagship Petaling Jaya coworking space spanning 20,000 square feet and also the second co-working space by Paramount Coworking, a subsidiary of our parent company Paramount Corporation Berhad. 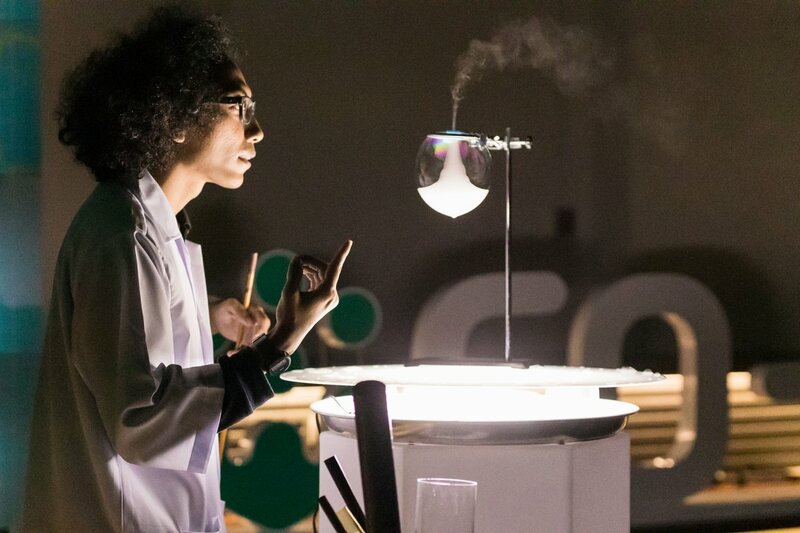 The entire space was decorated with accents of silver & teal inspired by the theme “lab-experiment”, synonomous with Co-labs DNA of collaboration and a laboratory of all sorts. Guests were in for a treat with curated activities included DIY slime, terrarium making & tile calligraphy. Attendees had a choice to attend either a wellness workshop on “Unlocking Key Practices of Leadership” by Lululemon Malaysia’s Joelah Charles or a panel discussion on sustainable diversity featuring our very own Benjamin Teo, Brian Tan - Co-founder and CEO of FutureLab, Audrey Ling - CEO of Next Academy & Ashley SueLyn - President of Lean In Malaysia. The entire discussion was mediated by Nadiah Hanim Latif from Opis. What is a launch party without a lucky draw? Our giveaways totalled at a whopping RM180,000 !! Big thanks to our sponsors Dinner in the Sky, Ministry of Burn, Aster Spring, Tanamera, Fort Gym, Lazada, MBO, ChiX, Hungry Brothers, Somerset, The Embassy, Futurelab, Plane in the City, Mon Space, Salad Atelier, Double D Plategic, Bonfire, Ryokan, Zen Rooms, Japan IPL , NinjaVan, Krispy Kreme & Corvan. Vendor booths were held by our partners include Pun’s Ice Cream, Aster Spring & ChiX.